Frozen is a 2013 American 3D computer-animated musical fantasy-comedy film produced by Walt Disney Animation Studios and released by Walt Disney Pictures. The film tells the story of a fearless princess who sets off on an epic journey alongside a rugged, thrill-seeking mountain man, his loyal pet reindeer and a hapless snowman to find her estranged sister, whose icy powers have inadvertently trapped the kingdom in eternal winter. 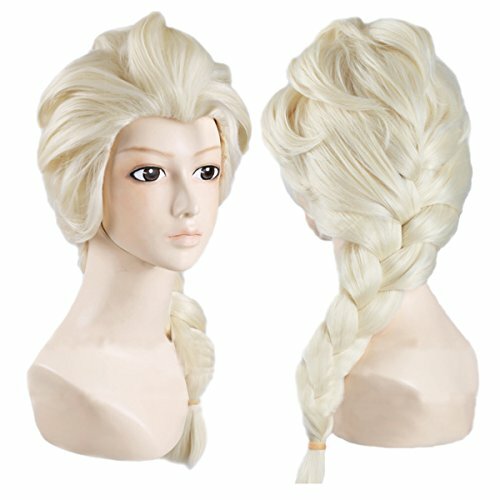 Complete your Elsa Costume with this Wig! 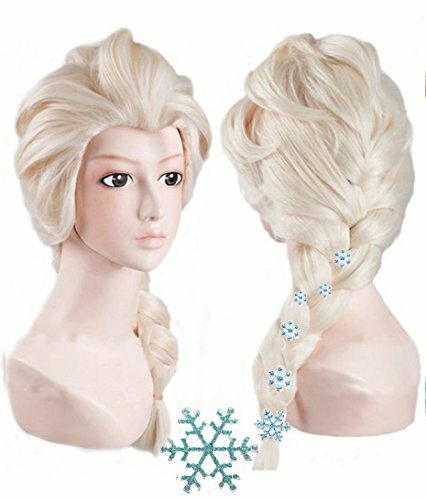 You will have the same look as Elsa in the Frozen Movie. 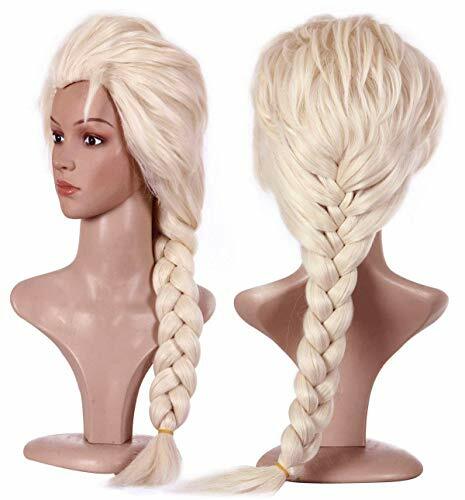 This Wig has a beautiful French Braid. She'll love looking just like Elsa with this beautiful tiara and braid! 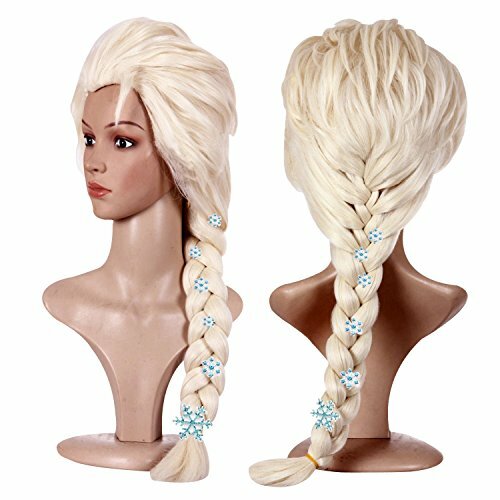 This gorgeous wig features Elsa's iconic golden locks, complete with her gold tiara and shimmer strands for extra shine. 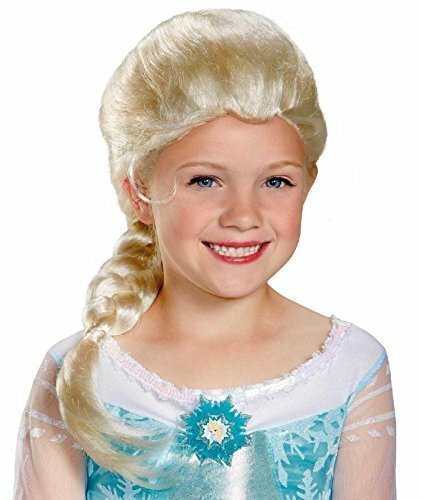 Your little princess will love this comfortable and easy-to-wear wig! SARLA Wig-Gets More Beautiful Because of You! Product Highlight : 1. Today's better quality synthetic wigs are virtually indistinguishable from human hair, except to the most practiced eye. 2. 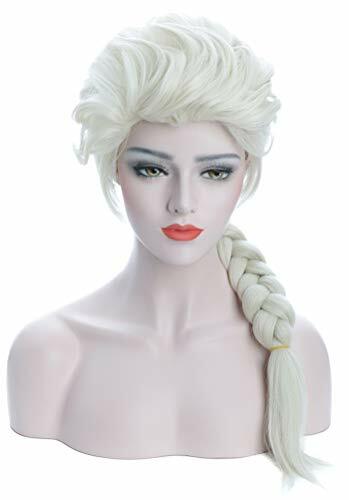 The Synthetic wigs (which was made from 100% import resistance fuel high-temperature fiber and fit average head sizes) are easier to care for and lower priced 3. Adjustable strap in the back allows you to adjust the size of the wig 4. The wig is Easy to wash and care just using a little mild shampoo in cold water 5. Do not comb it if it doesn't need it. Get some synthetic fiber conditioning spray with a wide-tooth detanglers. Always comb from the ends up. 6. 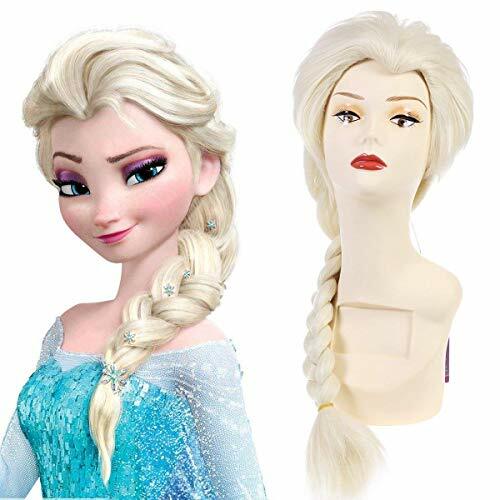 Store the wig on a mannequin head or wig stand when not in use. This helps keep the wig from becoming matted and frizzy. Gifts Include : 1.1pc Wig Cap (Random in color, which is essential to comfortable and successful wig wearing. Please Kindly Note : The color may be slightly different as the picture, since the different web browser and monitors.